The Digital TV Aerial For Lichfield Area. The Aerial and its Downlead are taken for granted by almost everyone, but they are just as important as the TV and in fact (electronically speaking) are actually part of it. I hope to give you the advice via my website that will enlighten you on the Digital switchover and on the type of installations that can be achieved with TV Aerials and Satellite dishes to minimize the impact on Lichfields environment. Each day brings a new siting in your street of either a large shiny roof mounted TV aerial or a Satellite Dish standing proud from the front of a neighbours home. FACT TV Aerials can be installed in lofts if there is sufficient signal strength in the area. 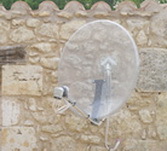 FACT Satellite dishes can be installed anywhere that line of site can be achieved. Dishes that are installed by contractors for SKY or Freesat have no time to discuss options with customers time is money to them their not paid by the hour and not paid enough to care, so the quickest and easy option is worded to you in a way that will convince you that the installers location on your property is the only way to receive signals from the satellite. Leaving you with an unsightly addition to the front of your home. Trying to ignore it is difficult when it’s probably the first thing you see when approaching home every day from work. Compare it to this if you had a new car stereo fitted to your luxury car and the auto electrician fitted the aerial on the bonnet, I shudder to think what new words I would learn in the first 30 seconds being a fly on the wall. Some parts of Lichfield and the surrounding areas you could throw a coat hanger out of the window and get a picture on your TV but, you don’t want to know how a coat hanger is able to pickup a digital signal it could sound like I am contradicting my point I am trying to make. At the end of the day you just want to relax in front of your digital TV and view quality pictures. What I am getting at here is be careful if you have to make a choice on purchasing a TV Aerial. You know that you have bad digital reception or you would not be looking for an Aerial to help resolve your reception problem. Consider also that it may not be your Aerial at fault, we offer a free aerial check to help diagnose the source giving problems. Turn every corner now and you will find an Installer willing to resolve your reception issues. 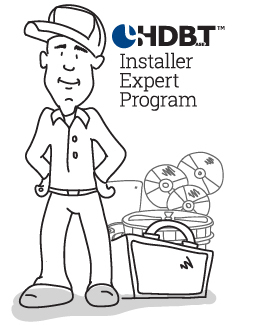 Getting a friend to recommend an installer they have experience of can help give peace of mind, giving you knowledge of work conduct and pricing. I regularly meet local folk who have fallen prey to unscrupulous traders who dupe them with misleading information allowing the installer an opportunity to install huge overpriced and unnecessary equipment. Fortunately you have taken the time to research your options before making a decision. This will save you from becoming prey to unscrupulous traders who deceive with poor information to clinch a sale. In most cases customers are left with huge unsightly installations that benefit only the ‘Ladder Monkey’ who installed it. I don’t want to sound ostentatious when I comment about installations I feel are inconsiderately installed and unjustified for the need. 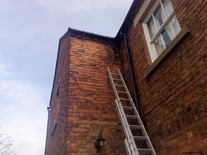 We have been installing in Lichfield for over 30 years and know exactly what is required to provide trouble free reception. The belief that ‘Bigger’ is always better is a misconception when it comes to reception of Digital signals. To much signal is just as much an issue as not having any signal at all. 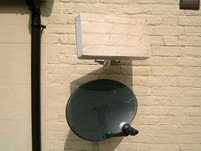 TV Aerials are just a little bit more of a challenge when it comes to discreet installations. 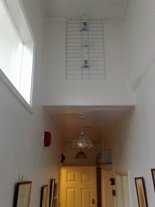 If the TV Aerial can be sited in the loft all well and good, no unsightly hardware. Occasionally it is necessary to locate the Aerial on the outside of the building, still not necessary though to install a huge array. I am of course advising on aerials installed in Lichfield & Burntwood area I would not suggest that we could get good results in fringe signal areas.
. Lichfield District Council are aware of the type of installations that we offer for listed buildings and have recently granted permission for the installation of a TV aerial in the sensitive area of ‘The Charles Darwin’ Gardens located in ‘The Close’ adjacent to the Cathedral entrance. The type of aerial is a PU4 grid type having a broad beam width which allows us to be slightly offset from the transmitter if the locations face is not exactly true to the site of the transmitter. We have installed this type of aerial on numerous homes around Lichfield and received gratitude from customers and neighbors alike who comment on the way that after installation the Aerial is pleasing and not an eyesore on their property. But of course not all installations can benefit from the PU4 because of location. With the right location and that little bit more effort, the picture below will show what can be achieved in making an aerial blend in with the surroundings. 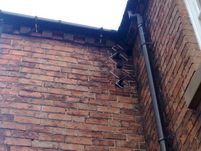 The picture below shows an installation of a PU4 aerial in a sensitive area of Lichfield. 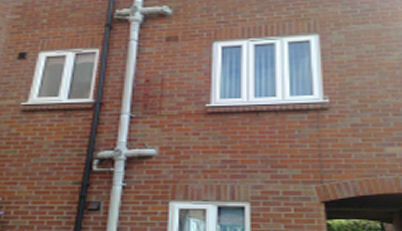 It was sprayed before installation and sited right of the grey waste pipe and left of the triple window frame. With a little effort aerials can be disguised to blend in and achieve less of an impact on the local surroundings. TV Aerials like the one below are rarely needed around Lichfield & Burntwood. This type of Aerial is a typical installation of an installer with high profit in mind not the customers needs. They are normally the type of installations left behind by the National Installation Companies. You will make the choice, and place trust in the company you call in a moment. You will expect a professional service and honest advice. Customers who visit our website will have a general mental picture of who we are and the service we offer. Every question you may have about your pending work that you are not clear of, can be answered via email before you even consider inviting us to your home. We collect and respond to emails twice daily, ‘It’s free and we respond with friendly information’. Feel free to email us as many times as you need. The Digital Switchover as created manyl types of issues and unusual problems relating to reception. We are solving new problems daily and gaining knowledge from the source. 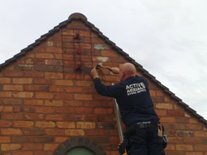 We have over 30 years experience in the Aerial industry to offer and are skilled and certified to date in reception and distribution techniques for Domestic and Commercial customers. If you make the decision to invite Active Aerials to your home you will employ of an engineer with the latest skills and knowledge and will extend to you a courteous and professional service. If you are having difficulty receiving digital reception remember there is a lot more than just the TV Aerial to consider when trying to find the problem with your reception. The Aerial may be fine and capable of good reception, but it as to be able to transfer its signal to your TV via a coaxial cable that may well have fault’s. Components such as poor quality splitters or coax plugs or even loose connections may effect the signal transfer. Internal components such as splitters and connectors are normally located in the loft area and at the rear of the TV itself. The loft as become over time a place of perennial storage ‘xmas trees and holiday cases are sometimes the cause of broken cables that have been broken or worked loose over the years due to using the loft as a storage area. At the rear of the TV poor quality leads are a common fault. The wall socket may be damaged, the list goes on depending on what is connected in line between the TV Aerial and your TV. Fault-Finding at speed can only be done with specialist equipment but checking connections that you are aware off could save you £s. Signal splitters like this are a DIY component an aerial installer with a conscience would not install one of these. Check that all coaxial plugs are securely pushed in to your components sometimes coaxial that is accidentally disturbed while cleaning around the home will loosen the coaxial plug that is connected to it. 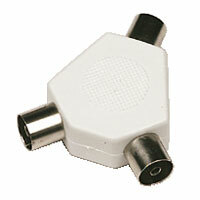 In the early days before digital a loose plug would slightly reduce the signal, but would be overlooked as the viewing of the picture would be slightly grainy at worst. With Digital it’s a whole new ball game, a lot of what you have lived with over the years will create problems that sometimes will make it impossible to watch digital TV. Get your system checked out and a Free quote, Not all TV Aerial Installers are out to dupe you. if you live in Lichfield or Burntwood area we will offer you a FREE aerial check using a spectrum analyser and free advice given. If you contact THE TRADER REGISTER please be sure to leave feedback on our service. Trading Standards welcome all feedback.. your comments will help to improve services for others.